Streamzoo is a photo social share service I have covered in detail before. It is one of the places I post and see the world via other people’s shares. As a reminder, the service leans more towards ‘streams’ that are basically hashtags, meaning the experience is a bit different from just following a long list of people. The update this week is for letting a person post photos faster by being able to jump around the included photo edit tools. 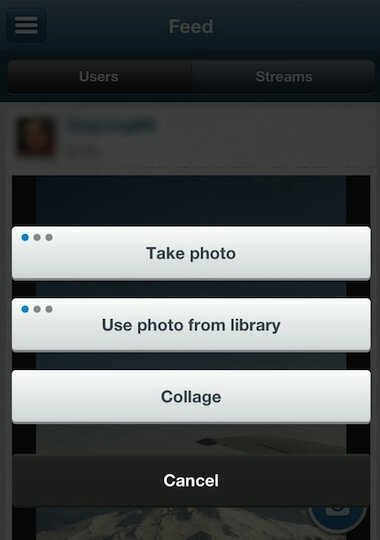 Normally, you can snap a photo, import from your iPhone’s photo library, or create a collage. 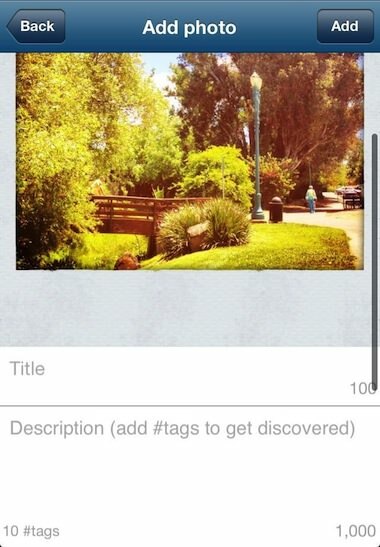 After a photo is selected, the normal path takes a person through cropping, frames, filters and other enhancements. 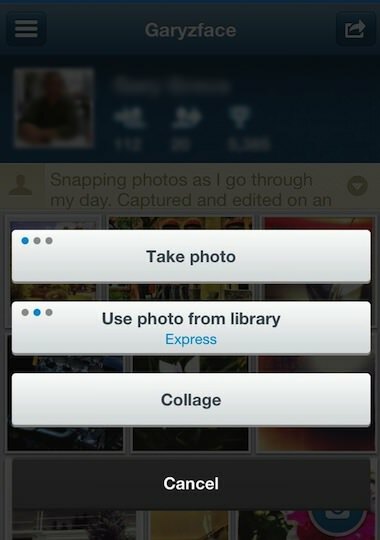 The update first shows up via the little dots in each of the options to bring in photos. Swiping across the bar changes the action of the buttons. The middle changes from importing and going through the steps, to an ‘express’. Streamzoo’s Express jumps past the edit options to the posting screen. Here you can enter a title and hashtags, or post without either. Also, pulling down on the screen exposes the photo that will be shared. Since I normally shoot and edit outside of Streamzoo, these changes mean a lot of saved time from launch to share!